Posted by Dr. Sally Spencer-Thomas; guest author with the Collateral Damage Project. 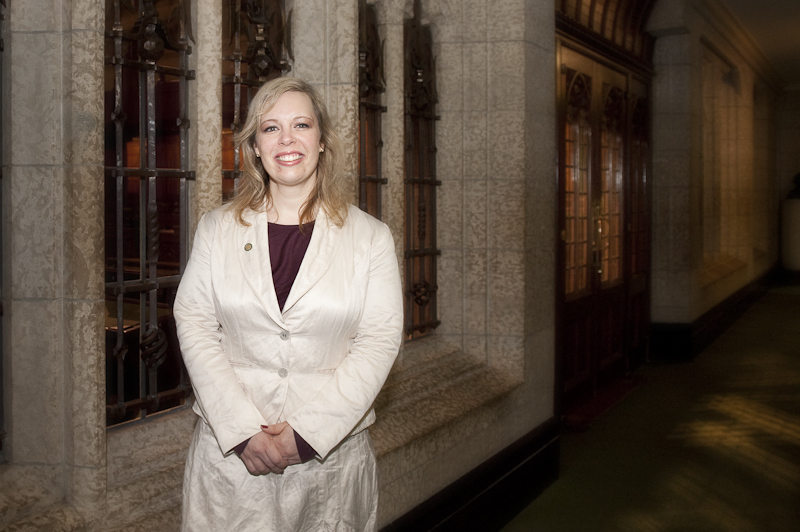 On October 10, 2011, I had the pleasure of speaking with Denise Batters from her home in Regina, Saskatchewan, Canada. Denise is a lawyer, and for the last four years, Chief of Staff for the Attorney General of Saskatchewan. She met her soul mate Dave Batters crossing the street at a political convention, and they were together for 18 years before he took his life in 2009. Dave, a well-known and admired leader in Canadian politics, was just shy of his 40th birthday and had been significantly affected by mental illness and addiction before his death by suicide. Sally: Please tell me about how you got into the work of raising awareness for suicide prevention. Denise: In the spring of 2008, Dave became very ill with severe anxiety and depression and had to overcome a dependency on benzodiazepines. Because of this, he announced that he was not going to run again for office and explained why. When he died, I took a cue from his openness and put out a press release that stated he died by suicide. The Prime Minister of Canada Stephen Harper came to the funeral and delivered an important speech about depression and suicide. At the funeral, Dave’s friends demonstrated a real outpouring of grief. Some of them openly wept, and this was not their usual reaction. They were so taken aback by Dave’s death. He was such a positive influence in their lives. Today, many of Dave’s friends appreciate talking to each other and to me about their memories of Dave. Men definitely differ in their expressions of grief; they are used to being the strong silent ones, not talking about feelings. Dave was really a guy’s guy and his friends were like that too. All these groups of men who Dave had known from across his life span came to Dave’s funeral, and I could read it in some of their eyes, “If this could happen to someone like Dave…” I know that some of them felt like they were potentially looking in the mirror. This tragedy demonstrated to me that suicide could hit anyone, regardless of income or social status. During the first year grieving, I attended support groups. Early on, a counselor urged me not to get involved in a cause too soon. But, in June of 2010 – almost a year after Dave’s death – we hosted a golf tournament in his memory; the time seemed right. In fall 2010 and spring 2011, the TV commercial was broadcasted for many weeks. There were also many substantial media interviews and front page newspaper coverage. Sally: Knowing that there are many ways to navigate the grief journey, what are your thoughts on how communities and families can best support people bereaved by suicide? I want to talk about Dave, especially with people who knew him and loved him. There is nothing that brightens my day more than hearing a story that reminds me of his great qualities. I felt it helpful to go to a counselor, and I also found it helpful to attend a grief group specific for suicide. Friends and family were great support. They would have me over and we would talk about Dave. Just to be able to do that is great. I don’t ever want to have a situation when we pretend that he wasn’t here. Sally: How can we best reach men at high risk for suicide who are not likely to seek help on their own? Sally: How can we engage leaders in our communities to be “vocal, visible and visionary” around suicide prevention? Denise: Dave was vocal, visible and visionary when he disclosed his struggles with depression, anxiety and addiction. He was one of only 308 federal Members of Parliament in this country. He went public because he thought it might help someone; this was trailblazing behavior in 2008. Since then we have seen three NHL hockey players die, two potential suicide deaths and one drug overdose this summer. Still, people are not being that open. For someone like Dave to be so open when he was leaving politics was remarkable. [Another example of visible leadership] In his speech at Dave’s funeral, the Prime Minister spoke about Dave, his great qualities and his life – and openly discussed depression and suicide. These words were reprinted in a Canadian national newspaper, the Globe and Mail. One of Dave’s former colleagues, Harold Albrecht, very recently brought forward a private member’s bill (MPs can bring forward their own legislation) to develop a National Strategy for Suicide Prevention in Canada. It is rare that these bills get passed, but a bill like this has a better chance for success. On October 5, 2011, a motion calling for a national strategy was passed 272 to 3. Many MPs talked about Dave during the debate. Mr. Albrecht’s bill is currently in Ottawa for a second reading and debate in the House of Commons. I will attend and speak at the press conference. I am hopeful that with this legislation, we can recognize suicide as a national public health problem, and we can get smaller suicide prevention groups that work in silos to work together. Dave was too good of a person not to have a substantial legacy to leave here. This is what propels me forward on this. Many tell me how they were helped by his story. I want that to continue. He was not the type of person you would ever suspect would be afflicted by mental illness – friendly, outgoing. That was not just a mask. That was really him. It was his illness that made him have a rough time near the end of his life. About the Author: As a clinical psychologist, mental health advocate, faculty member, and survivor of her brother’s suicide, Dr. Sally Spencer-Thomas sees the issues of suicide prevention from many perspectives. Currently, she is the CEO of the Carson J Spencer Foundation and the Survivor Division Chair for American Association for Suicidology. Dr. Spencer-Thomas is a professional speaker and trainer, presenting nationally and internationally on the topic of suicide prevention and has published four books on mental health. She lives in Conifer, Colorado with her partner and three sons. For more information visit: www.CarsonJSpencer.org. This entry was posted in Blog, News, Uncategorized by Sally Spencer-Thomas. Bookmark the permalink.